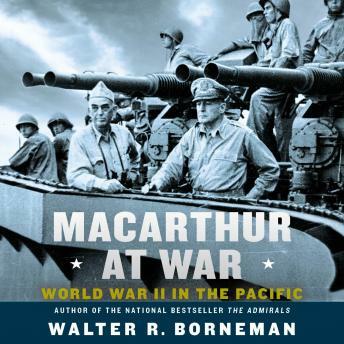 A Finalist for the Gilder Lehrman Prize for Military History at the New-York Historical Society The definitive account of General Douglas MacArthur's rise during World War II, from the author of the bestseller The Admirals. Architect of stunning triumphs and inexplicable defeats, General MacArthur is the most intriguing military leader of the twentieth century. There was never any middle ground with MacArthur. This in-depth study of the most critical period of his career shows how MacArthur's influence spread far beyond the war-torn Pacific. A very thorough account of MacArthur’s exploits during WW2. I suspect that sometimes the author seemed a little cynical. But I suppose he was trying to keep the middle ground between those who hero worshiped MacArthur, and those that hated him.